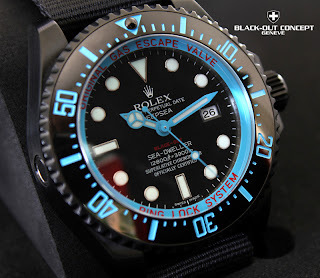 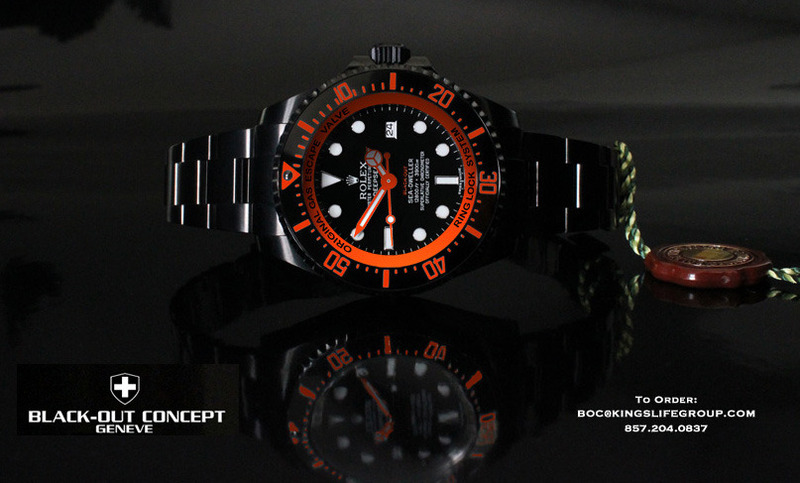 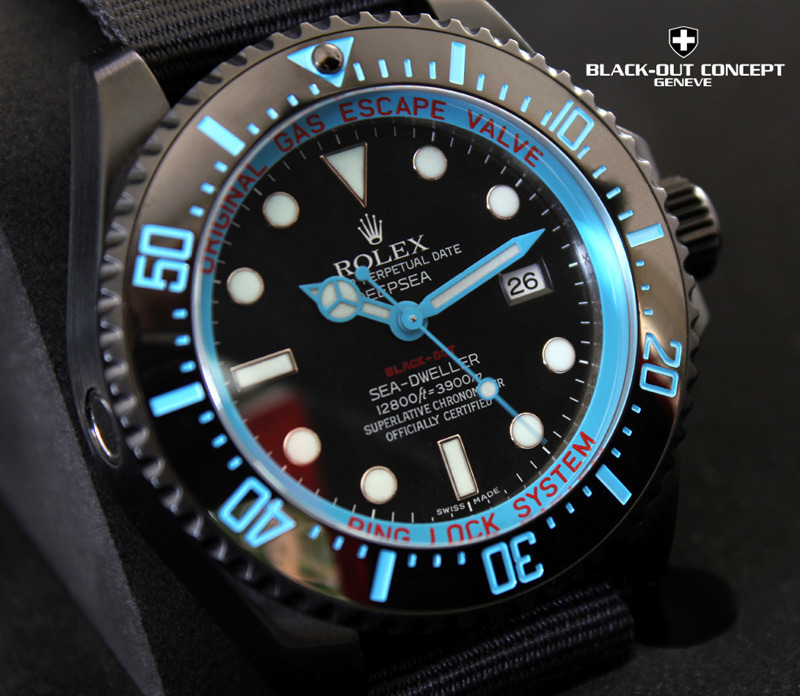 For those who wants a little 'bang' from their Rolex can check out the Limited Edition Black-Out Concept Rolex Deepsea Seadweller. 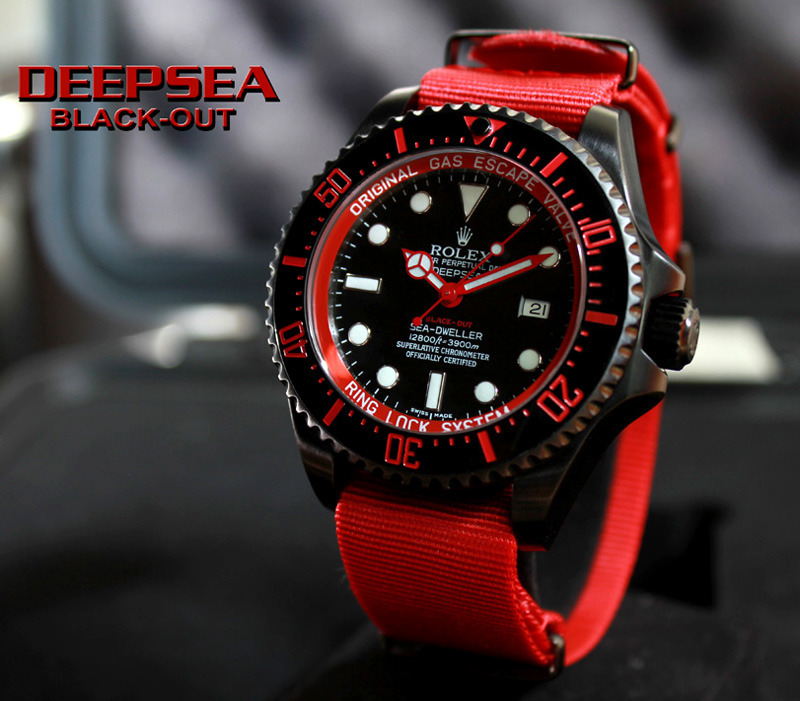 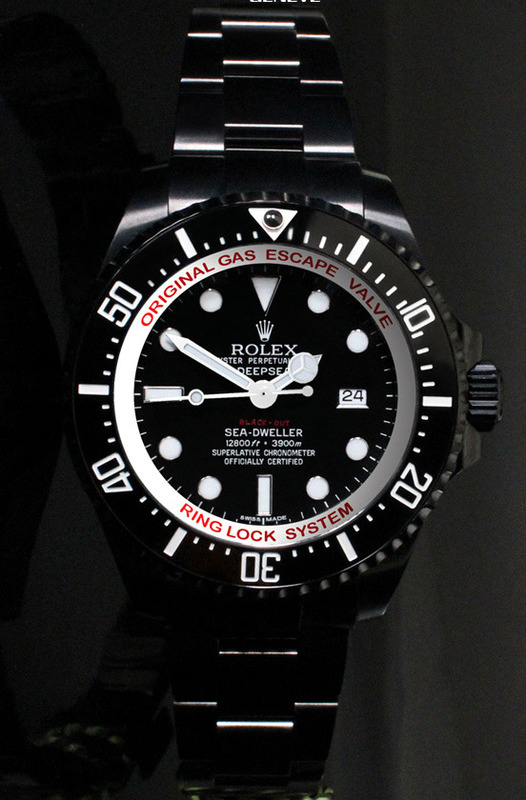 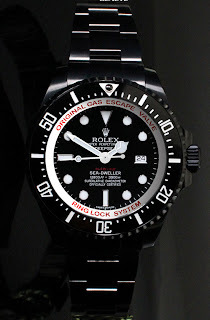 The DSSD stands out not because it is PVD black but the bezel, rehaut and hands have been given a make over. 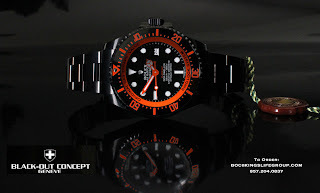 Just have a look at the photographs below and you will see what I mean.